Nearly 70,000 people in 69 Michigan counties who receive taxpayer-funded food assistance could be affected by reinstated work requirements that went into effect this week. "Reinstating these works requirements will allow the department to move more people toward self-sufficiency," Michigan Department of Health & Human Services Public Information Officer Bob Wheaton told Watchdog.org. "We are referring people who are affected to job training programs so that they are better able to find employment and become self-sufficient." The MDHH sent letters in August to everyone who falls under the work requirement program. The policy does not mean that everyone receiving food assistance must find work immediately, but it requires that anyone in the state's food stamp program must meet the requirements within three months after their annual case eligibility redetermination. New recipients will have to meet the work requirements immediately. Work requirements will only affect able-bodied adults between the ages 18-49 with no young children, meaning that anyone physically or mentally unable to work will not be subject to the requirements. Women who are pregnant and anyone who cares for an incapacitated person or a child younger than 6 years old also will be exempt. The requirements are met when recipients work 20 hours a week on average, participate in a state-approved employment training program for 20-hours a week on average, or volunteer at a nonprofit. "Our department’s goal is to provide safety net assistance to people while we remove any barriers to self-sufficiency," Wheaton said. "Reinstating these work requirements are consistent with that goal." Wheaton said that these work requirements had been in effect before 2002, but were lifted because of high unemployment. With the economy improving, Wheaton said, the MDHH decided it was time to reinstate the policy. "Work requirements benefit the individual, taxpayers and the economy because they realign incentives within our welfare system that encourage, reward, and restore the dignity of work," Wetzel told Watchdog.org. Former Democratic President Bill Clinton incorporated work requirements in his welfare reform package in the 1990s, which Wetzel said were a great success. These policies, she said, preserve the food stamp system and ensure access to the most needy while incentivizing a sustainable lifestyle. Along with a more sustainable food stamp system, she said she expects that employers will see "a more vibrant and enterprising labor market," which will help them fill positions in an economy that has brought more jobs to the country. 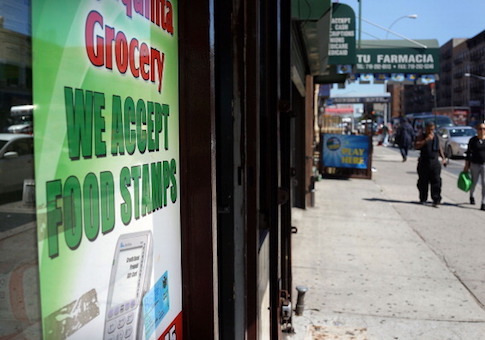 "[Food stamps] exist to help the truly vulnerable," Wetzel said.